The last couple of weeks I haven’t posted new games on the Wii Shop Channel. Been a bit lazy typing this in. But this week I’ll do it. Europe got three new Virtual Console games to play on Wii this week. Forgotten Worlds is a side-scrolling shooter, one of the first to incorporate 360 degree aiming and shootingm a revolutionary feature at the time. And no need to go to the arcade to play – this Sega Maga Drive version brings the game right into your home! It is the 29th century. Years ago, without warning, warships broke thorugh the sky, carrying fiendish aliens. They rained down fire, bombs, missiles and napalm, making the planet barren and inhospitable. Humanity was enslaed and Earth became known as the Forgotten World. In a hidden place, agroup of brave humans raised two children in secret as warriors, training them for battle. The two warriors emerged as armed machines of incredible power- the Nameless Ones. Take your place as the powerful Namless Ones and fight the hateful invaders! Collect Zennay to upgrade your weapons and satellite, and free the planet that was once called “Earth”. The second instalment of SNK’s wildly popular Metal Slug series! This game is a side-scroller which puts you in the boots of Marco, tarma, Eri and Fio. Your mission: wiping out General Morden’s newly remobiliesd rebellion Army. Just like in the original, players blast theur way through keveks by shiiting and jumping – but Metal Slug 2 boasts an expanded arsenal for you to wield, including a heavy machine gun, a shotgun and even a laser gun! Not only that, but transformation effects are packed in as well – players turn into mummies after getting caught in psison gas coughed up by other mummies! Your characters can also become obese and slow, albeit with an attack strenght upgrade, after picking up too many food items. The tutorial is also available in Portuguese, Spanish and Japansese. The original MMA series is back! Super Street Fighter® II Turbo HD Remix receives a whole new look while improving on the innovative fighting system of the original game. 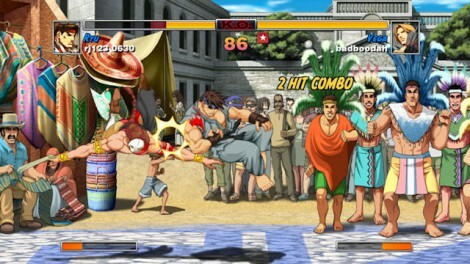 Updated with 1080p HD redrawn art, widescreen support and remixed music, SSFHD Remix offers a unique experience appealing to new fans and Street Fighter purists alike. Play at home versus a friend or test your skills online. A new Remixed mode incorporates new techniques for your favorite characters, and the original Super Street Fighter II Turbo mode is built-in for those who want to revisit the game’s old school gameplay. New graphics: Check out the all-new 1080p high-definition art for the Street Fighter characters and backgrounds created by Udon Entertainment, creators of the Street Fighter comic books. Classic characters: The game features all 17 of the original Super Street Fighter® II Turbo characters including Ryu, Guile, M. Bison and Akuma. Multiplayer: New multiplayer modes are provided including Quarter Match, Ranked Match, and Tournament. The network code has also been improved for the best possible online game experience. Remixed or Classic Mode: The new optional Remixed Mode provides massive changes across the board to all Street Fighter characters as created and tested by some the world’s top-ranked professional Street Fighter players. Or try the original Super Street Fighter II Turbo mode, which is built-in for those who want to revisit the game’s classic gameplay. You can even choose from classic game tunes or newly remixed music. Black Firday is upon us again, Firday November 29. And Amazon.com have already started the game. Black Friday deals start today! Don’t spend Black Friday 2008 jostling for bargains and parking spots. Amazon will have amazing deals to help you and your site visitors get holiday shopping done for less. Our Black Friday page (www.amazon.com/blackfriday) is the central point to find all our Black Friday deals, including the Gold Box hourly deals featured from midnight to 11pm PST and thousands of products that are on sale for a limited time only. Amazon Customers Vote is back for 2008 and voting has already begun! Customers Vote is a special end-of-year promotion where you and your site visitors can vote for the deal you’d like to buy at an amazing discount. There will be six rounds of voting with three products in each round. Beginning Thursday, November 27, 2008 each day a new winning product will be announced, and randomly selected customers who voted in that round will receive an invitation to participate in the race to buy the winning product. 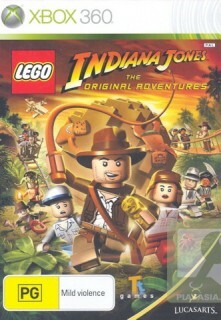 This weeks offer at Play-Asia.com is LEGO Indiana Jones for Xbox 360 for only US$ 14.90 + shipping. The offer ends on December 2nd, 2008. This is the Asian version with English text, and the game is region free. I’ve already have the game and like it. I can recommand it. A great Indy adventure. LEGO® Indiana Jones™: The Original Adventures takes the fun and creative construction of LEGO and combines it with the wits, daring, and non-stop action from the Indiana Jones cinematic adventures that enthralled audiences everywhere. With a tongue-in-cheek take on these original adventures, LEGO Indiana Jones follows Dr. Jones’ escapades through the jungles of South America to the mountaintops of India. Build, battle, and brawl your way through your favorite moments, from Indy’s entanglements with snakes to his dashing boulder run. 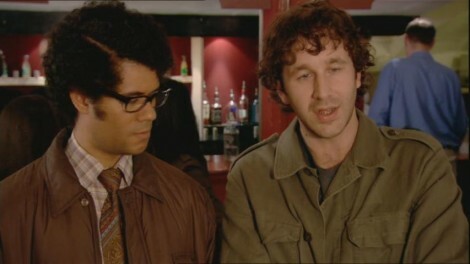 I loved the first season of The IT Crowd. And the second season is as good. We are still watching Roy and Moss in the IT department with Jen as their boss. They still try to help out on the IT front, but this in season two we also see Roy, Moss and Jen in real life, outside of their jobs. 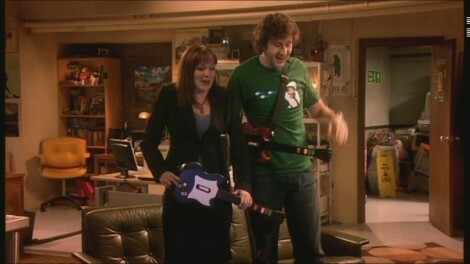 That is real fun, since Roy and Moss haven’t spendt that much time in the real world. 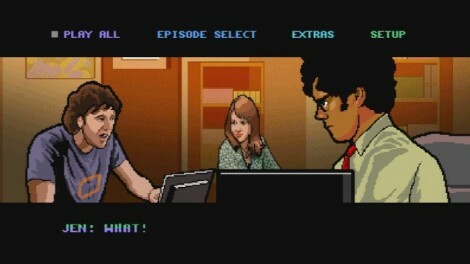 The IT Crowd is a joy ride, and is very much recommanded. You can see season two with out seeing the first, but you miss a lot of fun, you you should get the 1st season too. You get Out-takes, audio-commentary for all episodes with write/director/creator Graham Linehan, and Recording the IT Crowd. … and change GAMERTAG with your Xbox gamertag. 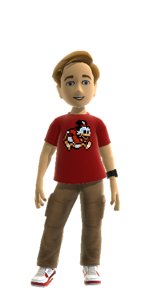 When I use mine, technofranki, you can see my avatar in the picture below. IGN.com have made a video review of the new Need for Speed Undercover for Xbox 360 (also available for PS3). This game looks way better than last years Pro Street which was real bad. I hope there will be a demo out so I can try it before I buy it. I’m probably not gonna’ buy until next year anyway since I still have some other games to finish.